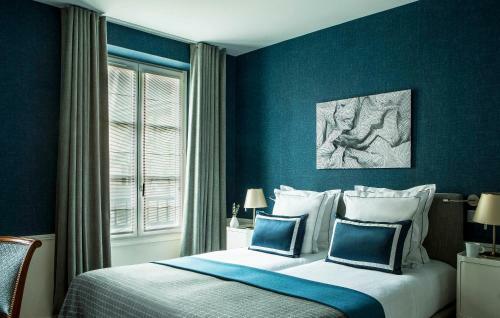 Located in central Paris, this hotel is just a 2-minute walk from Le Louvre and the Pont des Arts. It offers individually decorated rooms equipped with free Wi-Fi, satellite TV and air conditioned. A buffet breakfast is served daily in the hotel's Cave des Mousquetaires, a vaulted cave which was once connected to the Louvre. 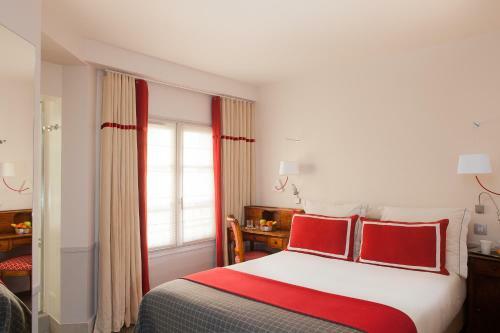 Hotel de la Place du Louvre also provides a bar and a 24-hour reception. The Place du Louvre Hotel is less than 200 metres from Louvres-Rivoli Metro station. 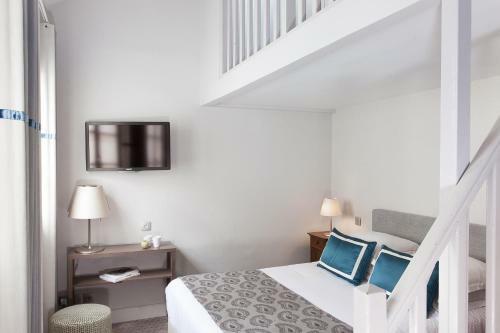 It is a 10-minute walk from the Notre Dame Cathedral and the Georges Pompidou Centre. 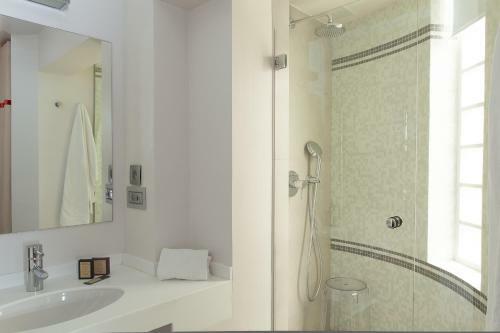 With views of the inner courtyard, this room features a private bathroom with a shower. A baby cot cannot be accommodated in this room. Rate: € 90.00 ... € 194.00; select dates below to get current rates. 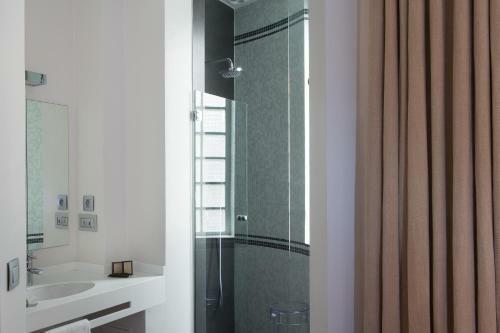 Offering a view of the Louvre Museum and Saint-Germain l'Auxerrois Church, this room features a private bathroom with a bath. A baby cot cannot be accommodated in this room. Rate: € 100.00 ... € 214.00; select dates below to get current rates. 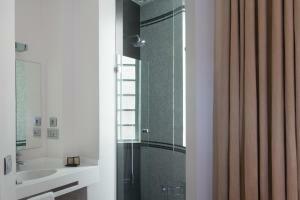 With views of the inner courtyard, this room features a private bathroom with a bath or a shower. This room can accommodate a baby cot. Rate: € 110.00 ... € 246.36; select dates below to get current rates. Rate: € 175.00 ... € 254.00; select dates below to get current rates.